Karina's Kreations: Stampin'Up Oh So Electic! 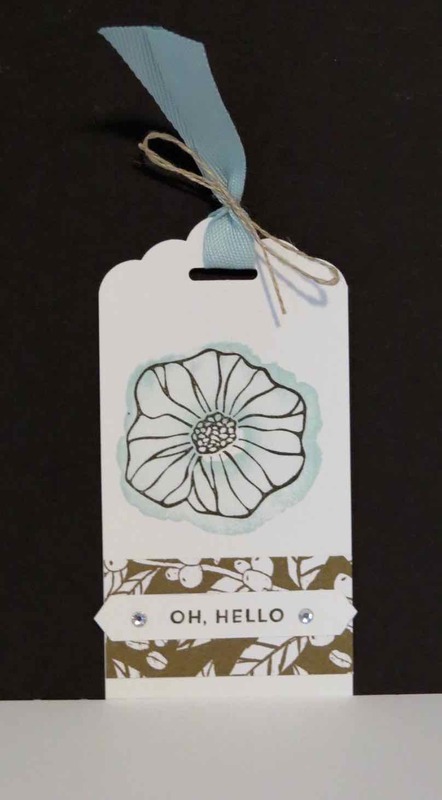 The Oh So Eclectic stamp set makes really cute tags. 1. Punch the top 2" x 4" Whisper White card stock using the Scalloped Tag Topper Punch #133324. 2. 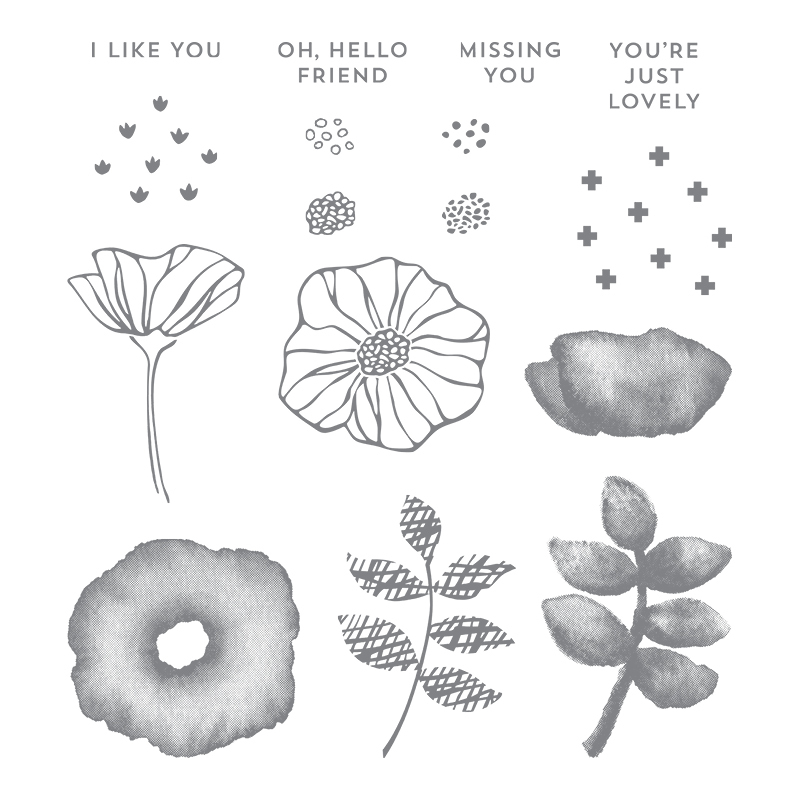 Stamp the flower image with Soft Sky ink and the outline image with Early Espresso ink. 3. Attach a piece of 1" x 2" Coffee Break Designer Series Paper #144155 to the tag. 4. Stamp the greeting on Whisper White card stock and punch out using the Classic label punch. 5. Add two rhinestones to the tag. 6. Place Soft Sky 3/8" Classic Weave Ribbon #144160 through the hole and tie with Linen Thread #104199.